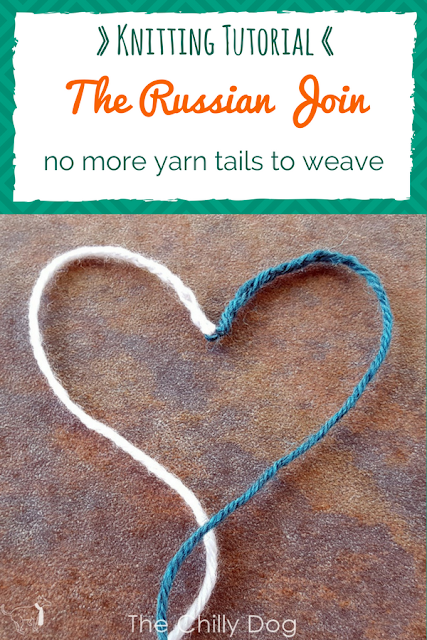 If you are a knitter that hates to weave in yarn tails, then you are going to love the Russian join! 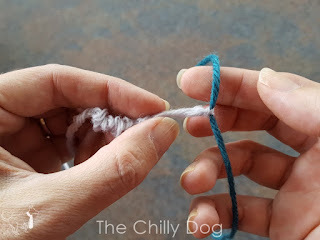 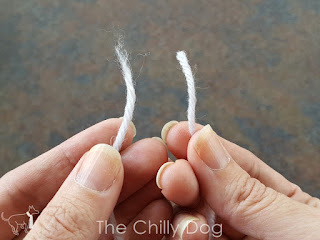 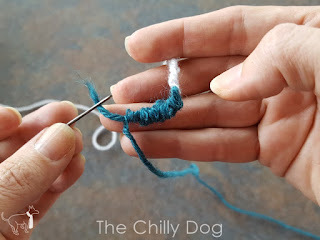 The Russian join is a nearly invisible way to connect two strands of yarn in your knitting and virtually eliminates the need to weave in yarn tails. I have unsuccessfully attempted using the Russian join in the past. 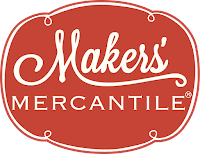 It wasn't until my friend Mary, from Crone Craft Studios, walked me through the process that I was able to master the join. 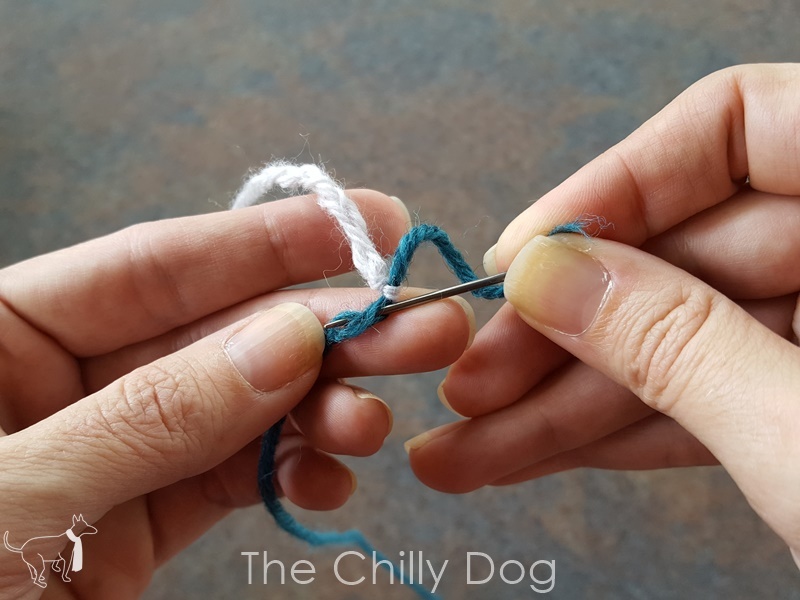 She showed me exactly how to make the perfect Russian join. Note: There's no rule saying this technique can only be used with protein fibers. 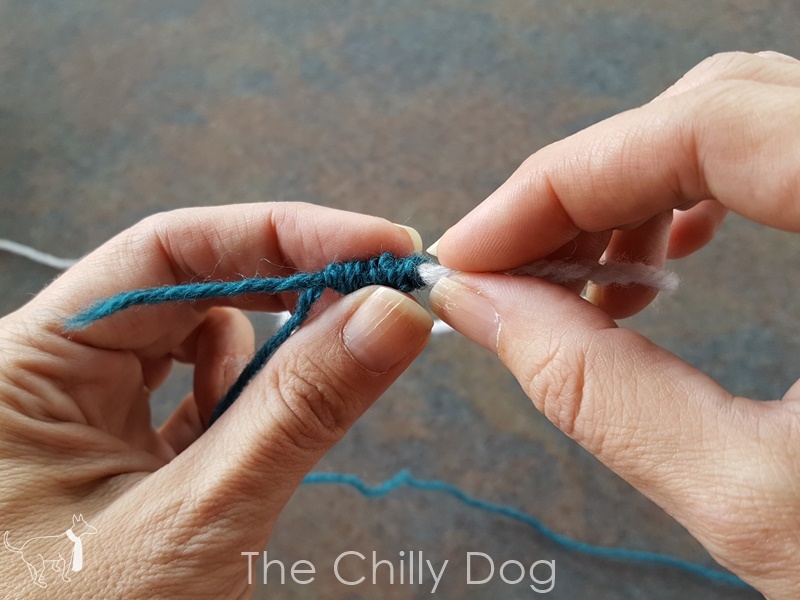 However, it has been my experience, that it is easiest for beginners to create an inconspicuous join with wool or a wool blend. When you are using the Russian join, you must break your yarn (just pull it until it snaps or fray it slightly with a scissors and then pull it) instead of cutting it. A cut yarn has a very blunt edge that is hard to conceal. 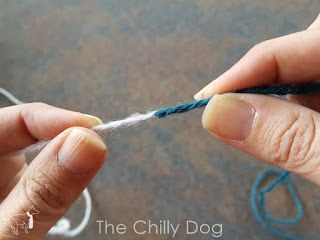 Breaking the yarn creates a more tapered end. 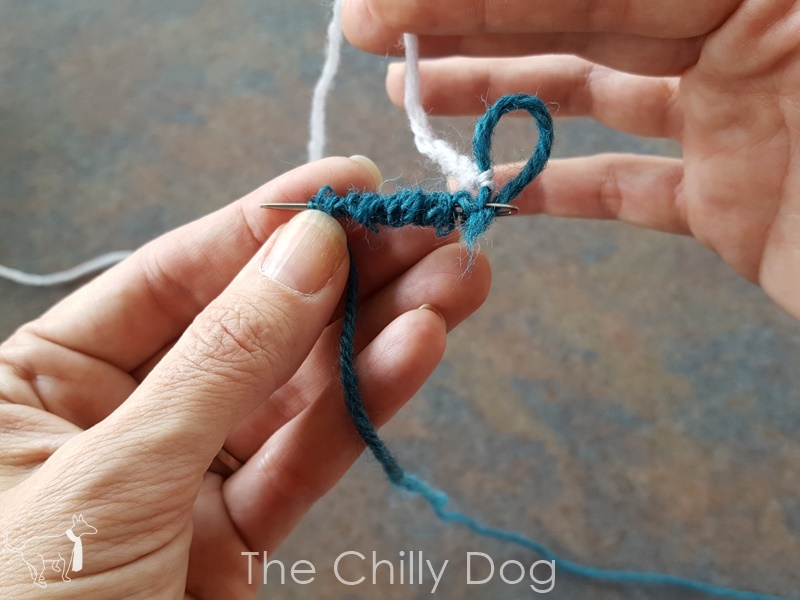 The basic idea for the Russian join is that you cross one yarn around the other and weave the tails into the original yarn. 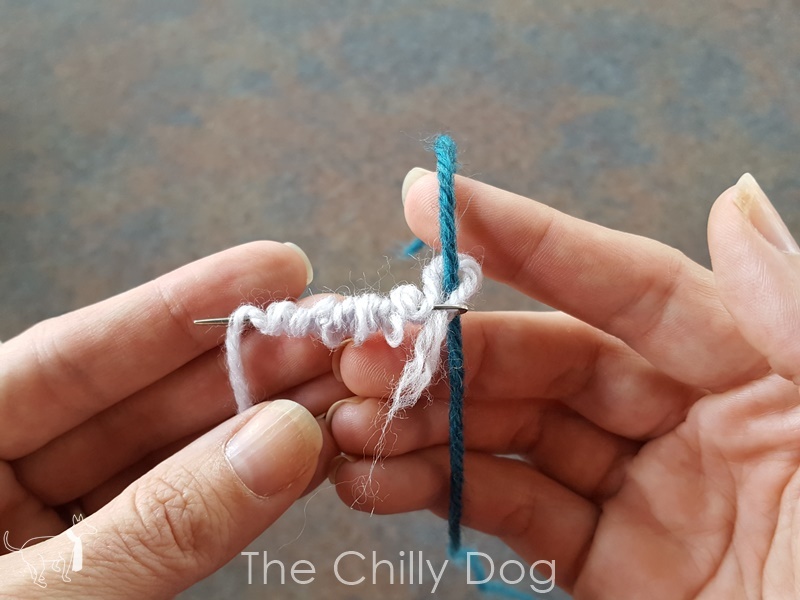 In this case, the white yarn tail will be woven into the white yarn and the blue yarn tail will be woven into the blue yarn. 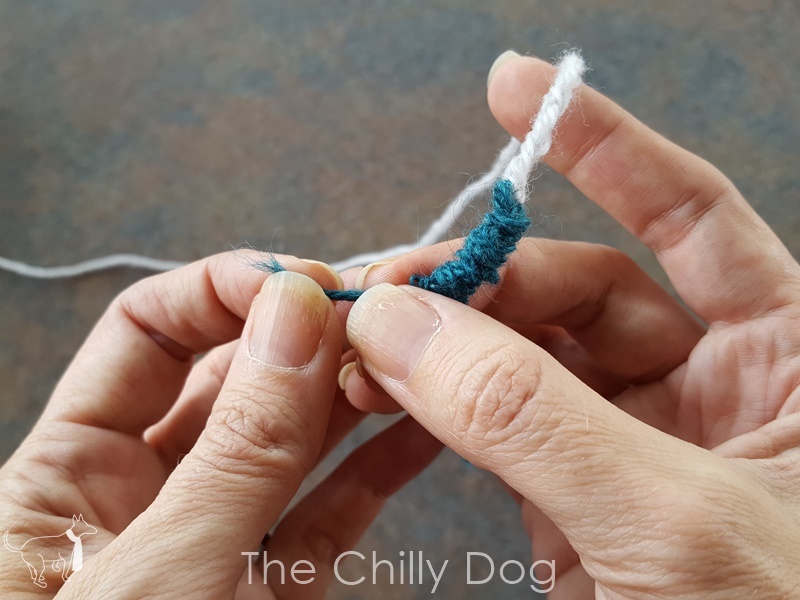 We'll begin by wrapping the white yarn around the blue. 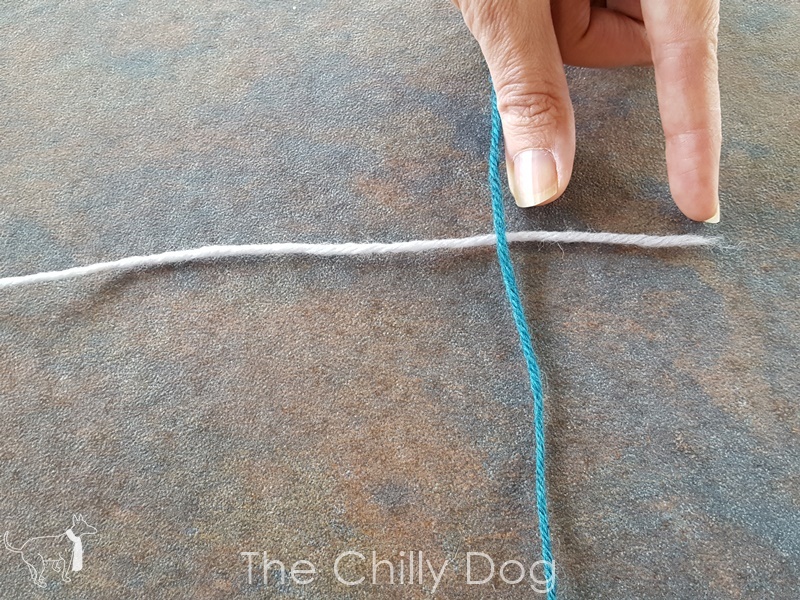 First, look at how long the (white) tail is before the wrap. 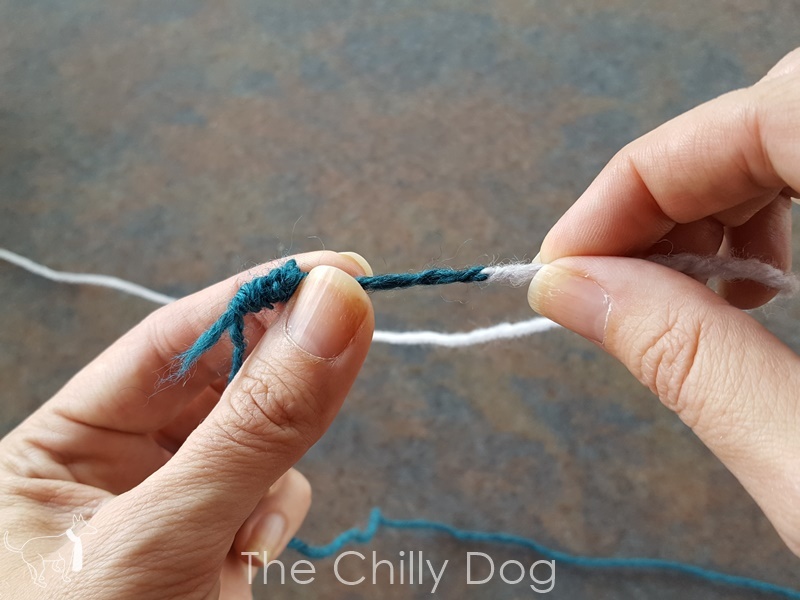 It's important to make sure the tail is woven in at least the same length on the other side of the wrap. I usually weave in the tail even farther, just to make sure. Begin by threading the yarn tail through the eye of the needle. 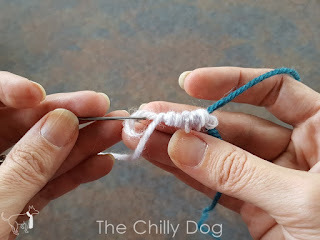 Next, insert the tip or the needle down into the (white) yarn, very close to the (blue) yarn you are wrapping around. 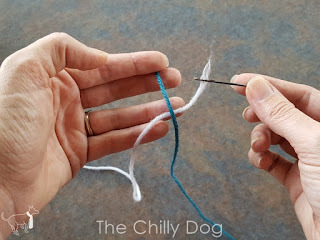 Then, bring the needle back up through the (white) yarn. 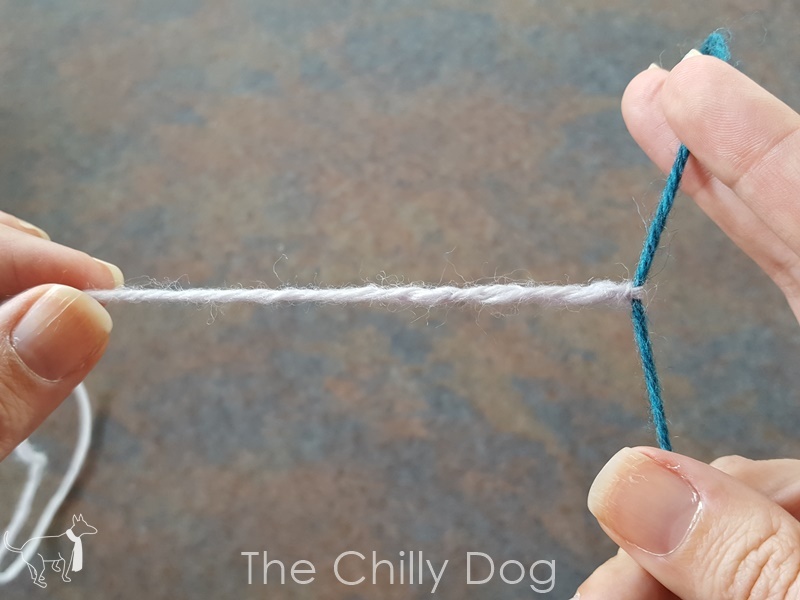 Keep weaving the needle down, up, down, up... through the (white) yarn until you are sure that you have stitched for a distance longer than the yarn tail. 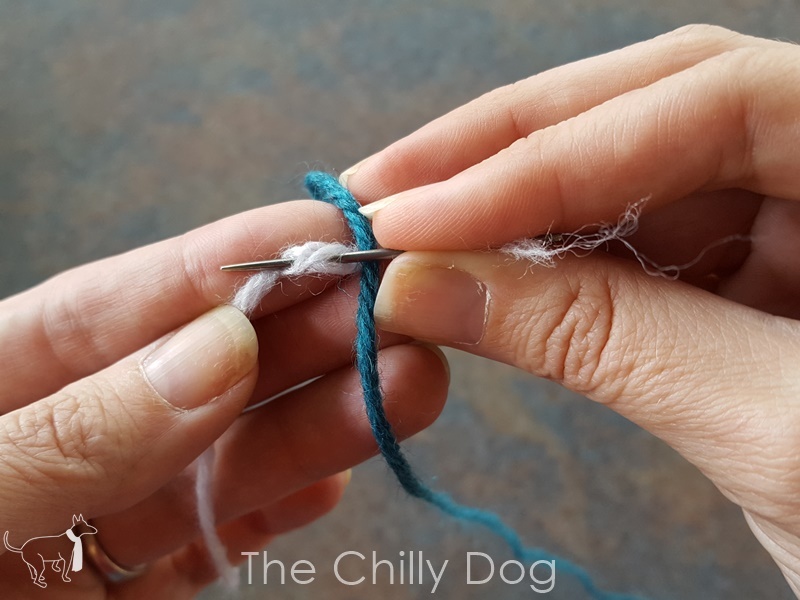 Pull the needle and tail through and remove the needle. 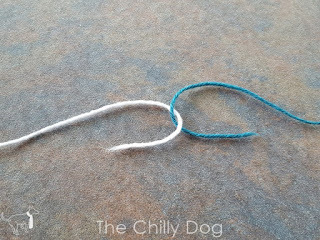 Now hold the yarn tail with one hand and gently pull the (white) yarn you stitched through towards the join. Securely hold the (blue) yarn and slide the yarn you stitched through down the (white) tail. 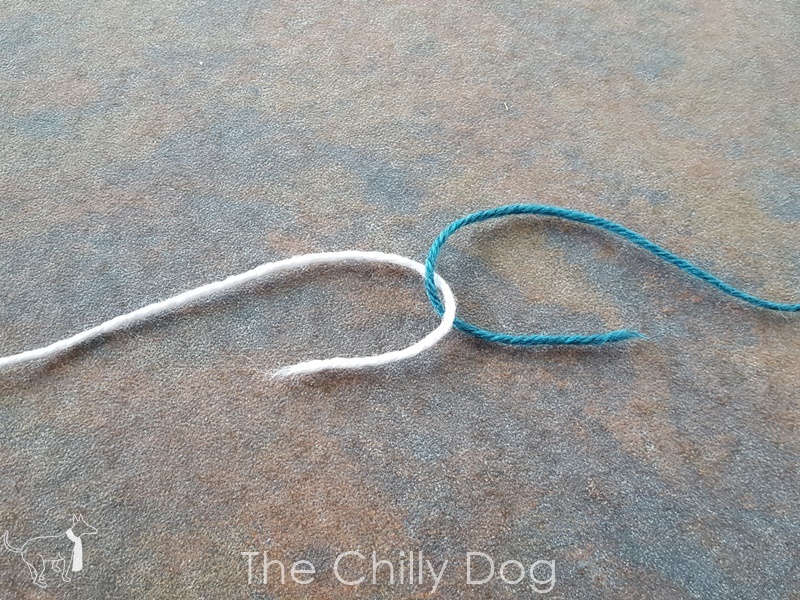 The (white) tail is disappearing into the yarn it was stitched into. 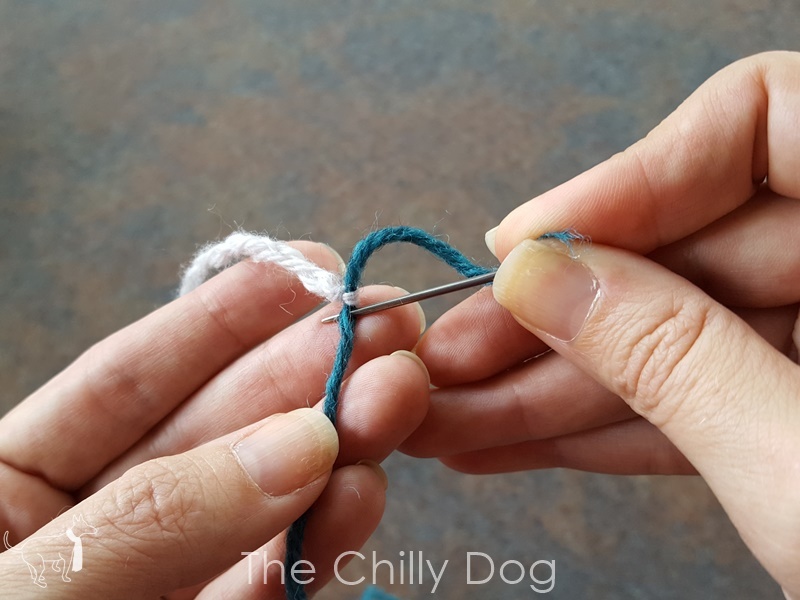 Keep pulling until the tail is completely concealed. Now we're going to repeat the process with the blue yarn. First, thread the (blue) yarn through the eye of the needle. Next, insert the tip of the needle into the (blue) yarn as close to the first join as possible. 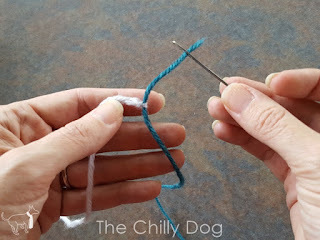 Now, bring the needle back up through the (blue) yarn. 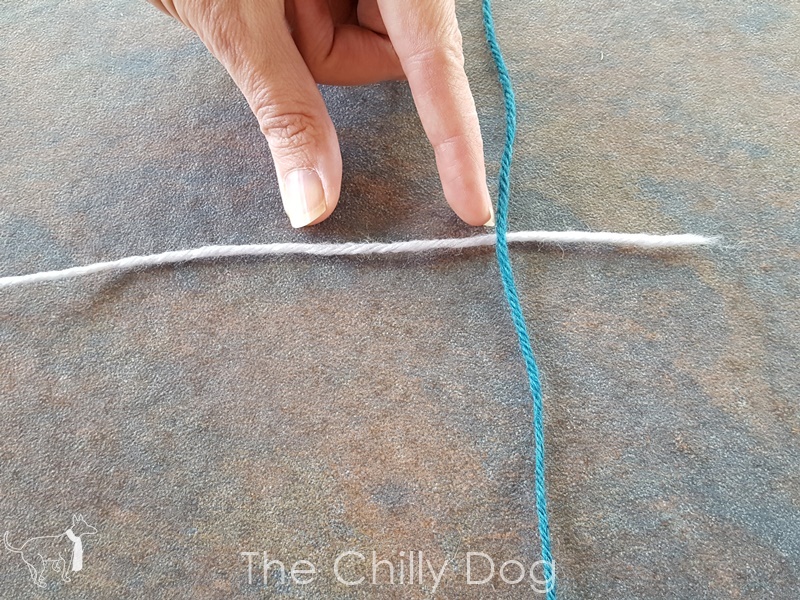 Continue stitching down, up, down, up...through the (blue) yarn until you are sure that you have stitched for a distance longer than the yarn tail. Hold the (blue) tail and slide the yarn you stitched through towards the join. Slide the yarn you stitched through down the tail until the tail is complete concealed. Like magic, your two yarn ends are securely and almost invisibly joined together. 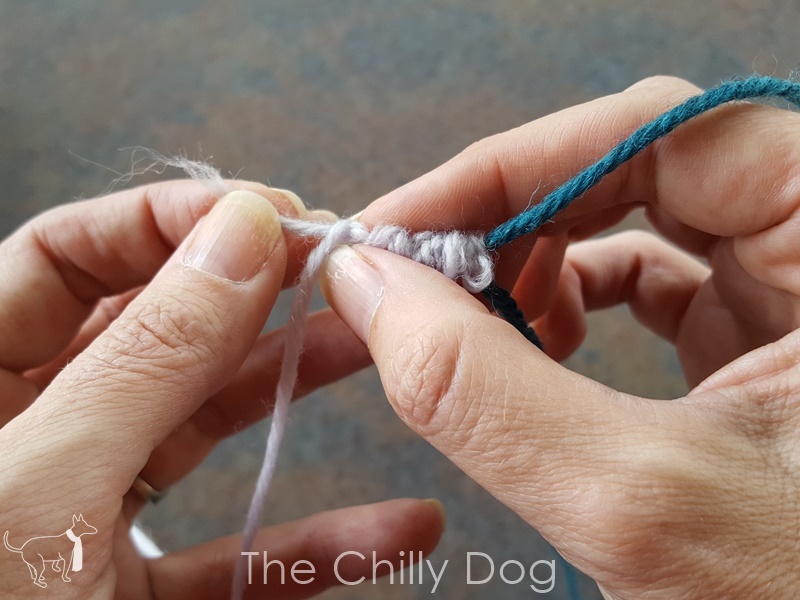 Now, when you finish knitting, there will be no ends to weave wherever you have used a Russian join. Are you ready to practice your Russian joining skills? 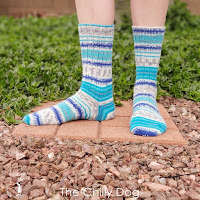 You may enjoy my 'Simply Striped Christmas Stockings' or 'Sleepy Sheep Socks' patterns. 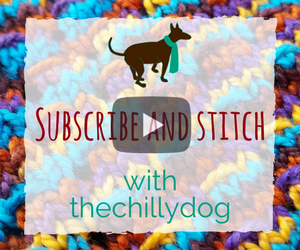 Which Direction to Slip a Knit Stitch? 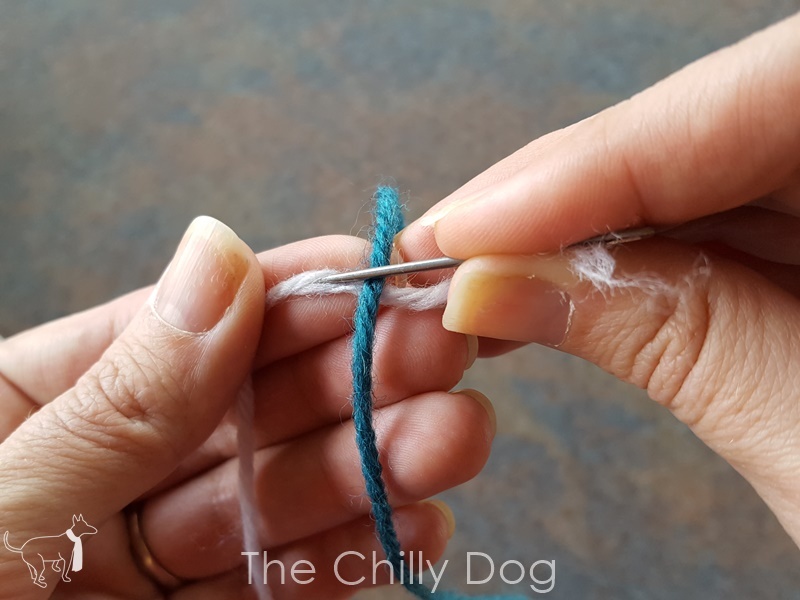 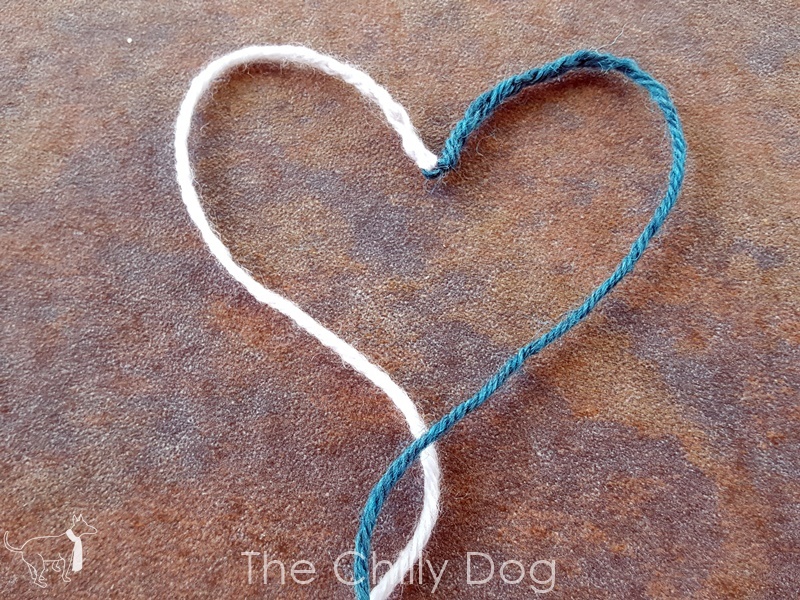 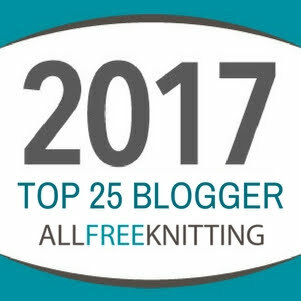 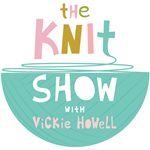 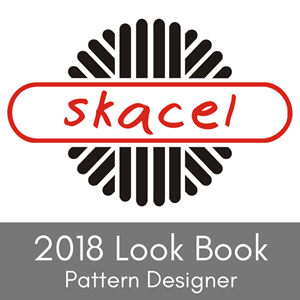 Hate weaving in yarn tails on your knitting? 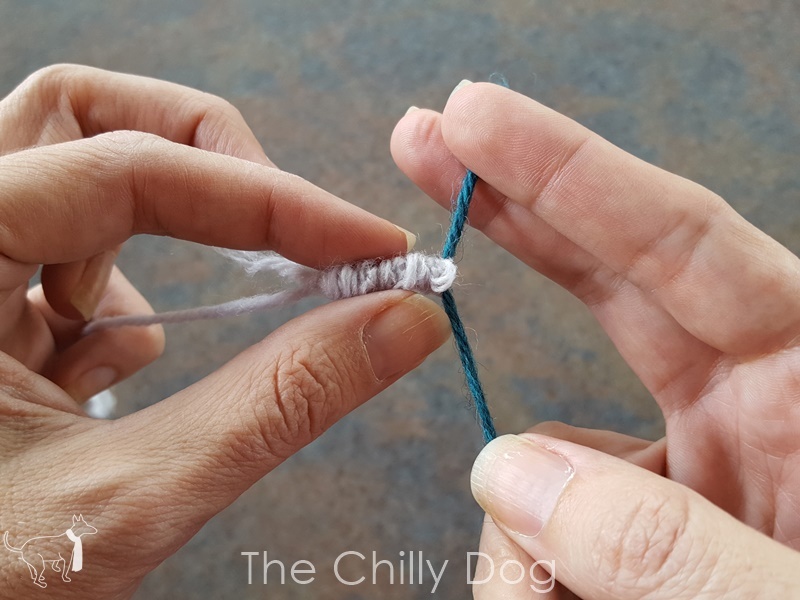 Learn how to do the Russian join so you never have to weave in yarn tails again.